Looking for a simple air management package that will get you off the ground without filling up your trunk? Our Stage 2 system just might be the ticket! Designed to be as compact as possible, so you can hide the components in your spare tire well or under the bed of your truck, with a simple handheld switch box to allow you control over all four corners of your ride. AVS 7-switch handheld controller - this switch box gives you control over all four corners independently, along with front, back, and "pancake" features. 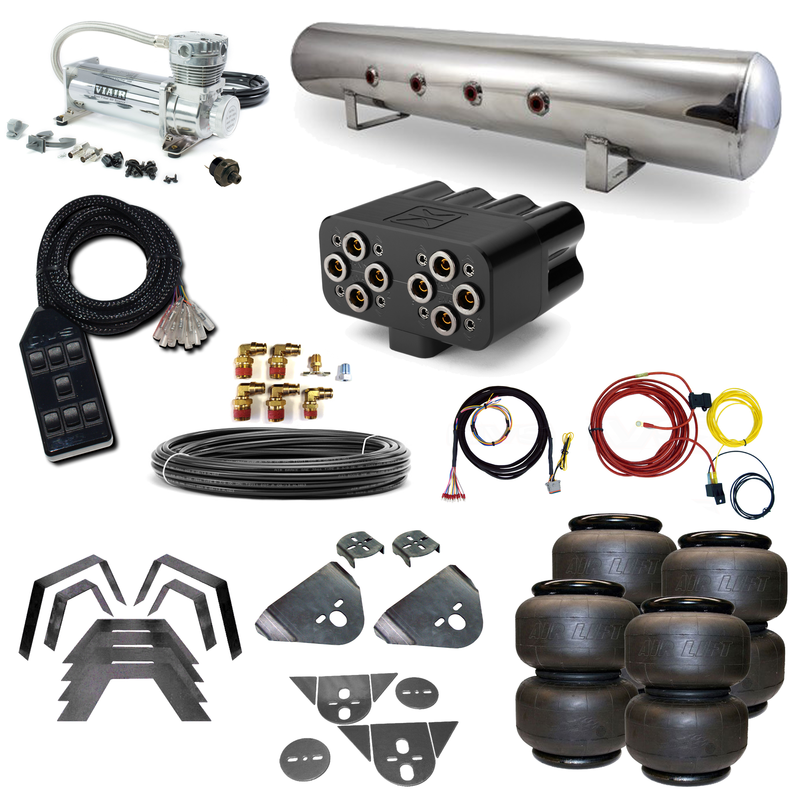 Complete wiring kit - Includes pressure switch, relay, 10 gauge wire for your air compressor, 18 gauge wire for your pressure switch, and a harness to connect your switch box to your manifold. All pre-wired and ready to install. 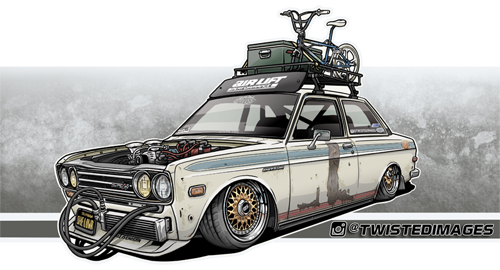 With this air management package, you can expect your ride to lift or drop in about 2-3 seconds.